New Delhi : Samajwadi Party chief Mulayam Singh Yadav finally broke his silence on the rift between Akhilesh Yadav and Shivpal Yadav and rubbished all allegations of a fued between UP CM Akhilesh Yadav and Shivpal Yadav. Addressing the party supporters, SP Chief said, "There is no rift between the two, and whatever misunderstanding is, would be resolved." The SP supremo further added, "Akhilesh Yadav will go meet Shivpal Yadav at his residence soon." Defending the power tussle in the party, Singh said, "Every father and son duo faces issues but there is no rift between us. But there is fault of our people as well, who spoke to media," said Mulayam Singh Yadav referring to Ram Gopal Yadav, who had called the sacking of Akhilesh Yadav from the SP chief position wrong. He further added, "There is no fight between Ramgopal Yadav, Akhilesh and Defending the power tussle in the party, Singh said, "Every father and son duo faces issues but there is no rift between us. But there is fault of our people as well, who spoke to media," said Mulayam Singh Yadav referring to Ram Gopal Yadav, who had called the sacking of Akhilesh Yadav from the SP chief position wrong. Singh further calrified, "There is no fight between Ramgopal Yadav, Akhilesh and Shivpal."Shivpal." "Samajwadi Party is a family, there are no differences in the party. It is elections time, we should all come together and work," advised the senior leader. 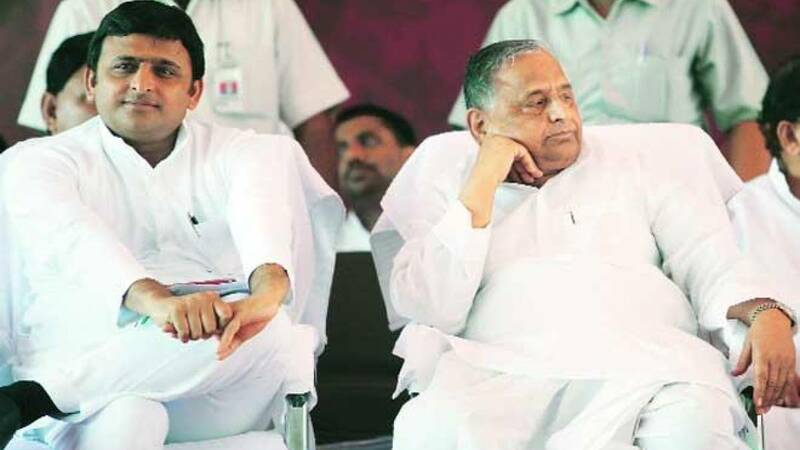 In may be recalled here that in the morning Mulayam Singh refused to accept Shivpal Yadav's resignation from the post of SP's Uttar Pradesh chief and Akhilesh Yadav also played down differences with Shivpal.